UPDATES 1/10/12 Projects that are posted to the MQG Madrona Road Challenge Flickr Pool by Thursday January 31st will be considered for the Michael Miller Quilt Con Booth. Please do not email the guild your photos as previously requested. Thanks and Good Luck! As Violet was inspired by her story, we'd like each of you to make a wall or art quilt inspired by a word or story. Smaller than 36 inches on any sides. Must include Madrona Road, you may add any solids that you like. If you did not get fabric, but would like to participate in this challenge, we will have a few more sets available at the January meeting, however, feel free to get started if you have your own Madora Road fabric. 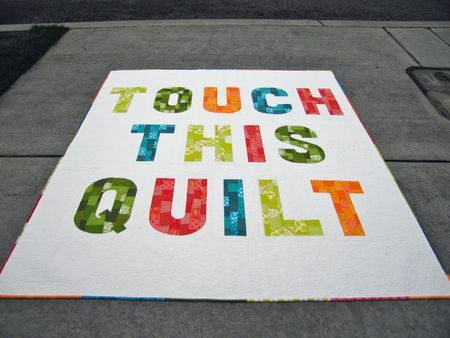 Deadline: If you'd like your quilt to be considered for the Michael Miller booth at QuiltCon, you must send us (portlandmodernquiltguild at gmail dot com) a photo of your completed quilt by Tuesday, January 29th. Also, please bring your quilt (or work in progress) to the January meeting, on January 21st. If you have any questions, please leave them here in the comments. Thanks so much! 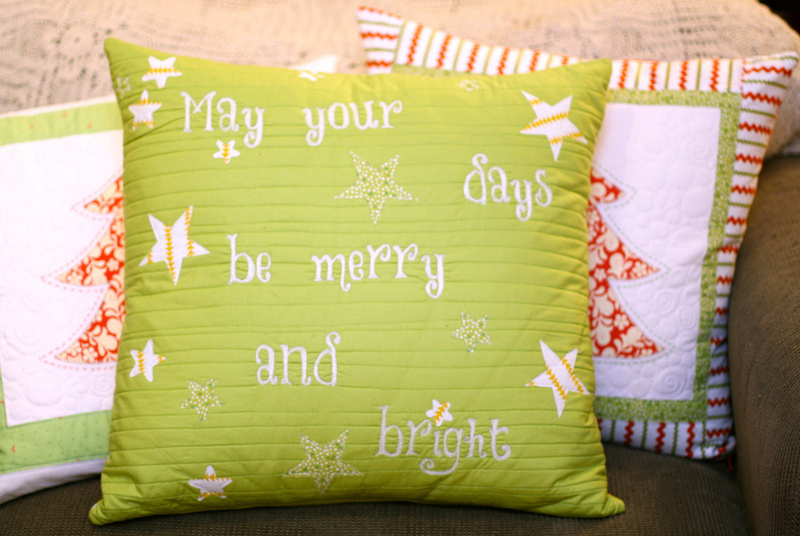 Here's some inspiration for how to include a word into your quilt! Ale's free motion words - she was kind enough to write directions here! 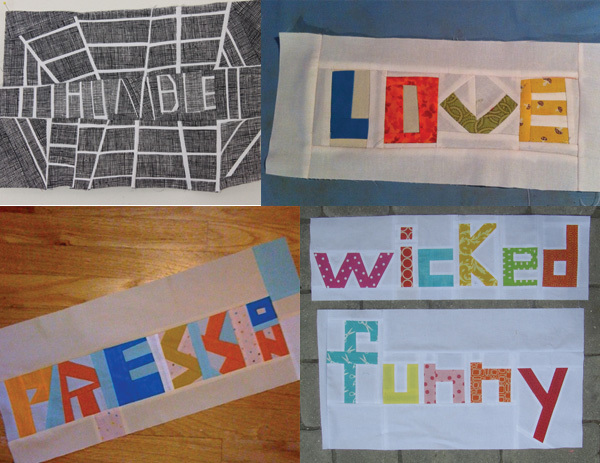 Heat N Bond fabric, cut out letters and iron on! 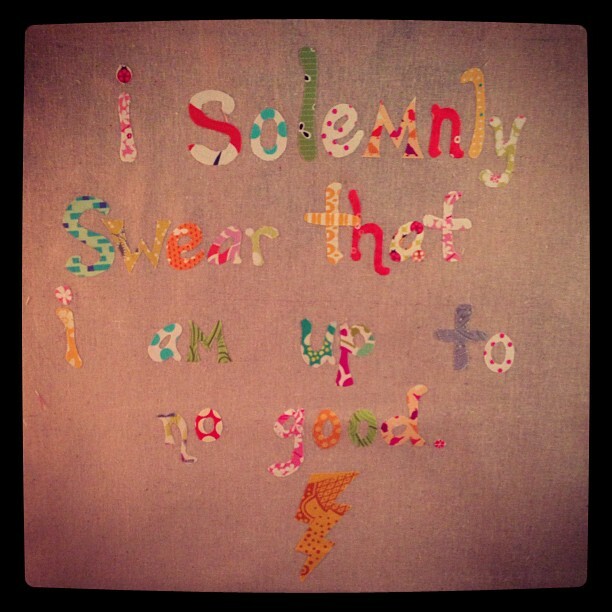 Via Ale's Christmas present to her swap partner.